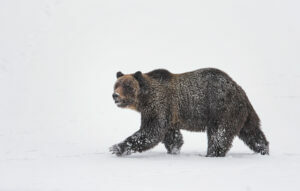 This is the final installment of our guide to photographing wildlife in Yellowstone. The new page (the seventh in this guide) offers suggestions for photographing bison, pronghorn, and more animals in Lamar Valley. Or, start at the beginning to see tips for photographing wildlife in Yellowstone everywhere from Fishing Bay Bridge to Washburn Range. The post How to Photograph Wildlife in Yellowstone National Park appeared first on Photography Life.